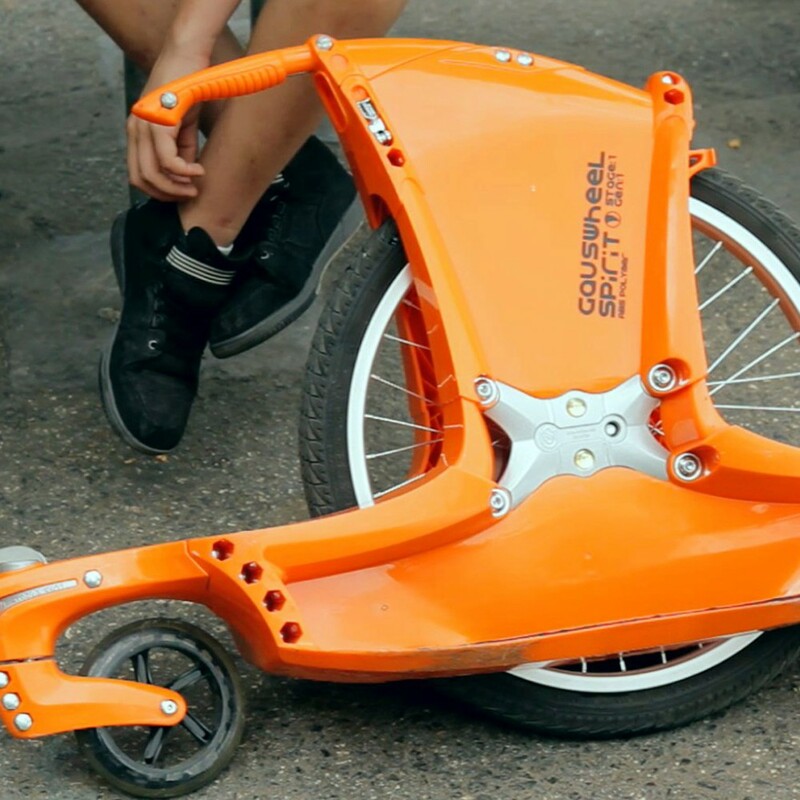 Our friends from Hungary have come out with a scooter with one big wheel and one small one, that you clamp between your legs. 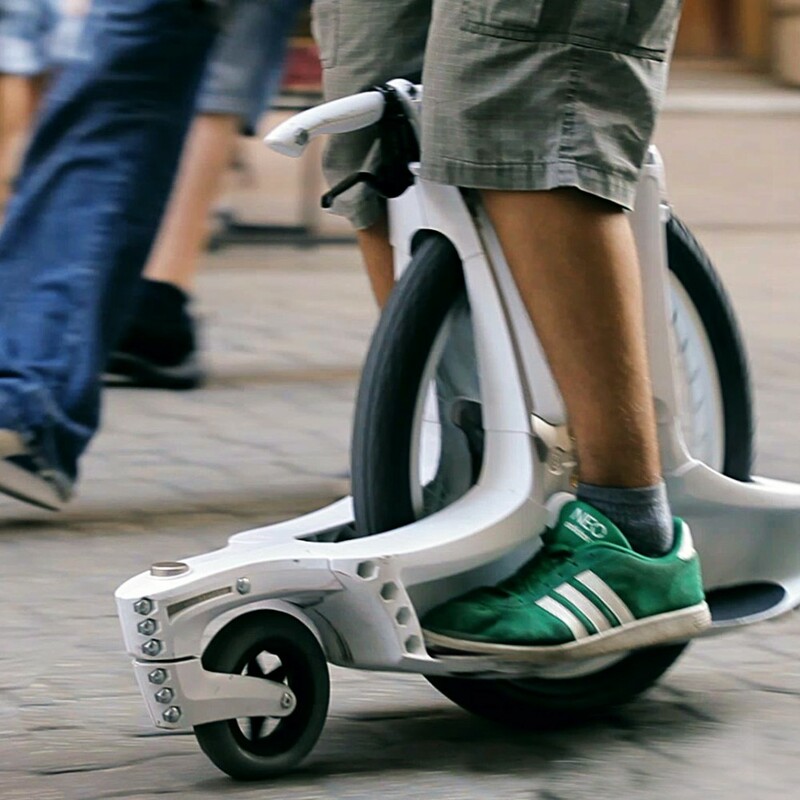 It is almost a unicycle, but does not have pedals and is almost a modern backwards penny-farthing. Called a GaussWheel they have a seven minute video on their site – which is incredibly boring. I could not even make it through the first minute. The only reason for this video IMHO is to spend the investors money on traveling around the world. It does look like they had fun making the video. On the positive side, it is for sale now and does not contain a motor. There are four models available, the base model sells for $200 and the top of the line goes for $500, but to get a brake, you need to spend at least $400. I guess with the first two models you supposed to just fall… or something. The brake seems to be a handle between you legs, which you need to bend over to pull. It seems like a great way to face plant. I’m guessing they have good dentists in Hungary. They have some pretty detailed but meaningless specs on the difference between the models. I’m guessing there is a warehouse in Hungary full of these things. Hopefully the GaussWheel is put together better than their crappy website. This entry was posted in Not quite a scooter, What could possibly go wrong? on March 12, 2015 by Gary.